Spin-Flex combines Spinning and weights in a great one hour combo class. The first 30 minutes will be on the bike for a traditional Spin, then you’ll jump off, head to the weight room, and finish the second half of class in a weight workshop. You’ll get the benefit of a cardio and weight workout all in one. Give it a try. Maybe it’s because you can go crazy on a bike without worrying about Billy Bob in his F-150 running you off the road. Or maybe it’s because you will torch an average of 500-700 calories per 40-minute ride. Or maybe it’s because regardless of your fitness level, you’ll get a heart pounding yet low-impact workout–while maintaining the ability to go at your own pace. 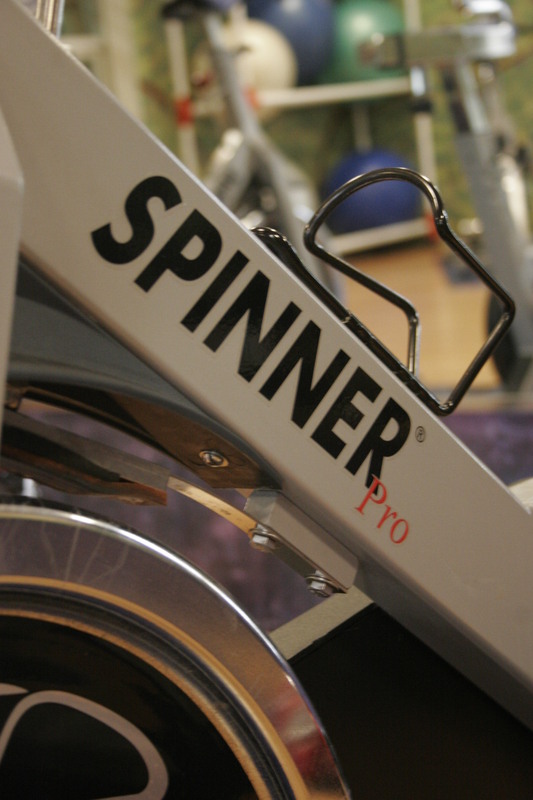 Whatever the reason, millions worldwide have found a lot to love about the Spinning® program. The beauty of Spinning is your ability to control your own workout plus the energy created in the room itself. The Spinning program is the original and most popular group cycling class in the world, so don’t be fooled by imitators. If your health club or gym isn’t using official Star Trac Spinning bikes and your instructors aren’t certified through Maddog Athletics (the creators of spinning), then you aren’t Spinning – you are just pedaling. Spinning didn’t become the most popular group exercise program in the country by chance – it’s because Spinning is an unmatched way to make your fitness goals a reality. With no complicated moves to learn, a motivating group environment, top-notch instructors and music that begs your legs to pedal, you’ll find yourself having a blast while you ride your way to a leaner, stronger body. 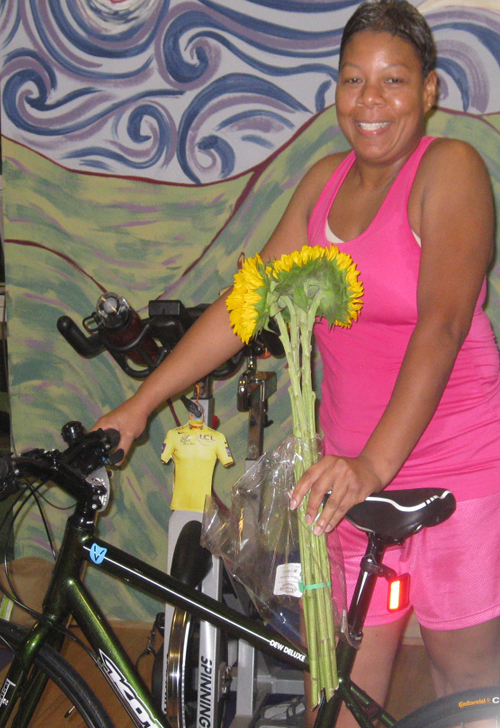 EXERCISE EFFICIENCY – You’ll pedal an average of 15 miles before your instructor cools you down. For those of you who don’t know, InsideOut brought Spinning to Memphis. That’s right, we were the FIRST gym in the city to start Spinning almost 18 years ago. And we created one of the top programs in the country, nationally recognized by the organization who created SPINNING. We are one of only two OFFICIALLY LICENSED Spinning facilities in Memphis. There are many impersonators out there, but if they aren’t using Star Trac Spinner bikes and following the Maddog Athletics official Spinning protocol, then they aren’t Spinning. Other gyms send their instructors to InsideOut to sample our classes. Some of our members join the gym just to Spin, and we’ve got more certified/qualified instructors than anyone else in the city. We’re on our third complete set of bikes, which means that we wear them out from so much usage. We have 15 classes a week (morning, afternoon, and evening) from which to choose, so you’ll have plenty of variety. We added computers to our bikes a few years ago and began our cadence training program. 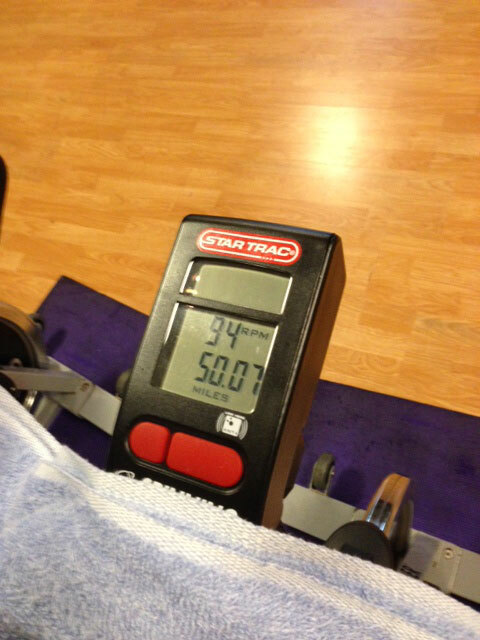 The result – spinners can see their RPM’s, mileage, heart rate and calories burned while they are riding. The computers have added an entirely new element to our program. Our instructors can set up a sprint class, intervals, climbs, or combination classes. Being able to see your stats as you pedal is pure motivation. And cyclists know that cadence is everything when you are logging miles. Cadence determines strength and fitness on a bike and it’s an excellent training tool for increasing speed and endurance. We also incorporate different instructional rides everyday. That means you can choose a different classification of ride every day that includes Strength, Endurance, All Terrain, Intervals, and Combo classes. If you Spin 3 times a week, you can challenge your fitness by signing up for a different profile every time you get on the bike. Ultra Spin and Tour de Midtown are two of our extremely popular SPINNING contests that we operate every year. Tour de Midtown is our 21 day Spinning event that mirrors the Tour de France. It starts the first Saturday in July, and our classes follow the Stages of the Tour. If the peleton is in the Alps, so are we. Likewise, if it’s a sprint day at the Tour, we’ll be hitting the sprints hard too. Ultra Spin is in its 5th year and is our September contest to see how many miles our Spinners can log in a single month. The high so far is 746 miles logged back in September, 2011. We give away really great prizes during both contests. Bikes, tee shirts, memberships and all kinds of prizes go out to our riders who can log the miles and handle the terrain. Two and three hour Spins are also quite common at InsideOut. We have a hefty dose of roadies and mountain bikers who are members, and, somehow, 45 minute rides just aren’t always enough. So, we throw in a few extra Spins to help increase overall fitness and serve as training rides in the pre and post season.